The CMA, also known as the Competition and Markets Authority, which is based in the United Kingdom, recently revealed that it had issued an enforcement order to be launched with the intention of investigating the recent acquisition of SkyBet. SkyBet was bought out by Stars Group for approximately 3.4 billion British Pounds. 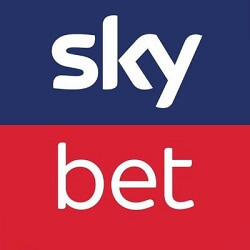 The deal was finalised by Stars Group, which owns PokerStars, on the 10th of July, buying the SkyBet brand from previous owners CVC Capital Partners. The CMA has since stated that they believe they have reasonable grounds for the investigation, citing that they suspect the acquisition may lead Stars Groups to cease to be distinct from Cyan Blue Topco, who ultimately own Sky Betting and Gaming Group. Stars, Stars UK, as well as Cyan had also been made distinct following instructions set before the 10th of July. The CMA has added that their latest order prevents both of the parties in question from taking any more actions that may affect the way the companies are able to compete in the market. Part of the order also necessitates that the companies keep their customer and supplies lists separate, and that both groups are required to avoid sharing any business secrets, intellectual property, or any commercially-sensitive information. Going forward, Cyan, Stars, and Stars UK will need to provide the CMA with statements of compliance and information, allowing the CMA to investigate further into the matter, as well as details about any key staff that leave or join the groups.